Kentucky Concrete Contractors Insurance. A concrete contractor is a highly trained person or team that manages the different stages of concrete on a construction project. From an unmixed combination to a finished product, these teams are required to get the job done. A concrete contractor constructs foundations, concrete patios, concrete parking lots, and sidewalks. As a concrete contractor, having the right insurance is important. The main reason for this is to keep your business protected. If you're a concrete contractor having the right insurance is important. 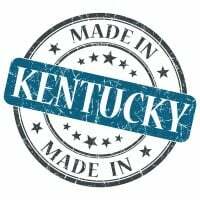 Get the Kentucky concrete contractors insurance coverage that will keep you and your business protected. Kentucky concrete contractors insurance protects your business from lawsuits with rates as low as $47/mo. Get a fast quote and your certificate of insurance now. Kentucky concrete contractors insurance is what protects your business against lawsuits and claims. It's required by law in most states that you have liability insurance or you'll not be seen as a licensed concrete contractor in KY. Without liability insurance, you may not be able to get as many jobs because this is something that most clients require before hiring - they want ot see a certificate of insurance. To avoid financial ruin in the case of a lawsuit, this is the type of insurance that you'll need. To protect your business, you have to choose the right Kentucky concrete contractors insurance for you. 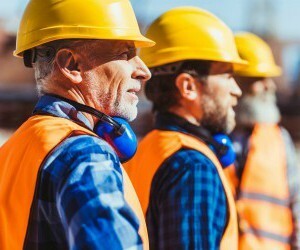 As a concrete contractor, the last thing you want happening is to be sued and lose everything all because you didn't take the time to find the right Kentucky concrete contractors insurance for your business. There are many different types of insurance that are involved with concrete contracting. Now that you have an idea of the different types of coverage available you can speak with a professional insurance company and find the right coverage plan for you business. Request a free Kentucky Concrete Contractors insurance quote in Alexandria, Ashland, Barbourville, Bardstown, Beaver Dam, Bellevue, Benton, Berea, Bowling Green, Brandenburg, Cadiz, Calvert, Campbellsville, Carrollton, Central, Cold Spring, Columbia, Corbin, Covington, Crescent Springs, Crestview Hills, Crestwood, Crittenden, Cynthiana, Danville, Dawson Springs, Dayton, Douglass Hills, Eddyville, Edgewood, Elizabethtown, Elsmere, Eminence, Erlanger, Flatwoods, Flemingsburg, Florence, Fort Mitchell, Fort Thomas, Fort Wright, Frankfort, Franklin, Georgetown, Glasgow, Graymoor-Devondale, Grayson, Greenville, Harrodsburg, Hartford, Hazard, Henderson, Highland Heights, Hillview, Hodgenville, Hopkinsville, Hurstbourne, Independence, Indian Hills, Irvine, Jeffersontown, La Grange, Lakeside Park, Lancaster, Lawrenceburg, Lebanon, Leitchfield, Lexington-Fayette, London, Louisville, Ludlow, Lyndon, Madisonville, Marion, Mayfield, Maysville, Middlesborough, Middletown, Monticello, Morehead, Morganfield, Mount Sterling, Mount Washington, Murray, Newport, Nicholasville, Oak Grove, Owensboro, Paducah, Paintsville, Paris, Park Hills, Pikeville, Prestonsburg, Princeton, Prospect, Providence, Radcliff, Richmond, Russell, Russellville, Scottsville, Shelbyville, Shepherdsville, Shively, Simpsonville, Somerset, Southgate, Springfield, St. Matthews, Stanford, Stanton, Taylor Mill, Union, Versailles, Villa Hills, Vine Grove, Walton, West Liberty, Wilder, Williamsburg, Williamstown, Wilmore, Winchester and all other cities in KY - The Bluegrass State.